Mr Muhammad Kazim Ali Pirzada son of Mian Zafar Hussain Pirzada was born on December 25, 1973 at Bahawalpur. He completed Intermediate in 1992 from Aitchison College, Lahore and graduated in Commerce in 1995 from Punjab College of Commerce, Lahore. 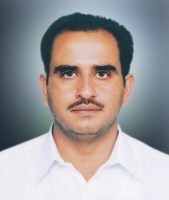 An agriculturist, who served as Tehsil Nazim, Khairpur, Tamiwali during 2001-05 and as Member, Provincial Assembly of the Punjab during 2008-13. He has returned to Punjab Assembly for the third consecutive term in general elections 2018. He has extensively travelled abroad and visited UK in 2010 to attend Commonwealth Parliamentary Association Conference. He belongs to a well-known political family. His paternal grandfather, Mian Bahadur Sultan Pirzada served as Member, Provincial Assembly of West Pakistan during 1956-58 and was founding Chairman, District Council, District Bahawalpur; his maternal uncle, Mr Riaz Hussain Pirzada remained Member Punjab Assembly during 1985-88; as Caretaker Provincial Minister during 1988; as Member National Assembly during 1993- 96, 2002-07 and 2008-13 and also functioned as Federal Minister. He remained MNA and served as Federal Minister for Inter-Provincial Coordination from 2013 to 2018.